Over its 80-year history, the Virginia and Truckee Railroad ran a grand total of 29 locomotives across its tracks. Out of the original 29 engines, only nine still survive. The Nevada State Railroad Museum here in Carson City has four of them, there is also one back east in Pennsylvania, and back in January I profiled the three that live at the California State Railroad Museum in Sacramento. Those eight engines are all in the care of museums, and they’re pretty well taken care of. They have been restored to their original condition, and several of them can still operate under their own steam. They’ve got a good life, even if half of them are far from their home here in Carson City. 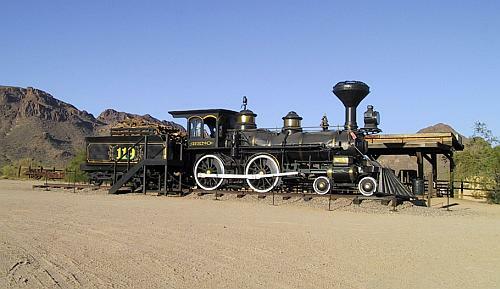 But there is one more engine, one that’s almost forgotten in an out-of-the way corner of the desert. On the outskirts of Tucson, Arizona, at Old Tuscon Studios, sitting in the blistering sun on a piece of track barely big enough to hold it, is #11 The Reno. 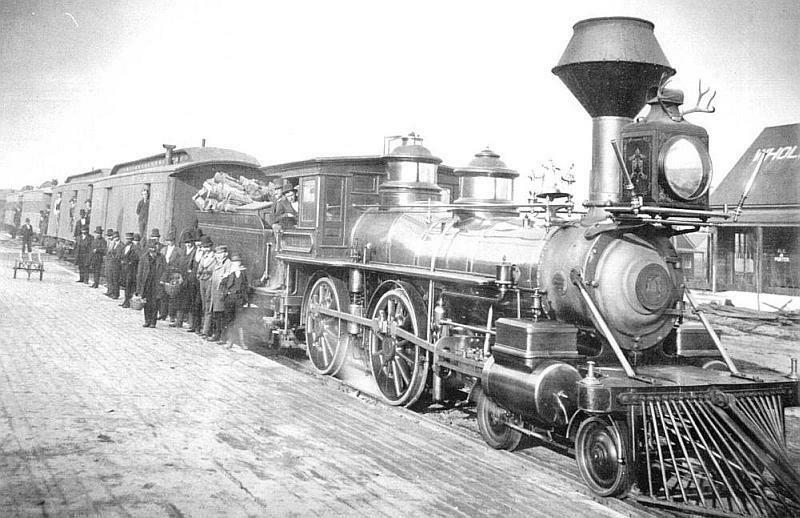 The Reno was named, aptly enough, because it was the first engine built to haul trains between Reno and Virginia City when the tracks were extended in 1872. And it ran that route for sixty years, hauling gold and silver, freight and passengers, and also carrying U.S. presidents. 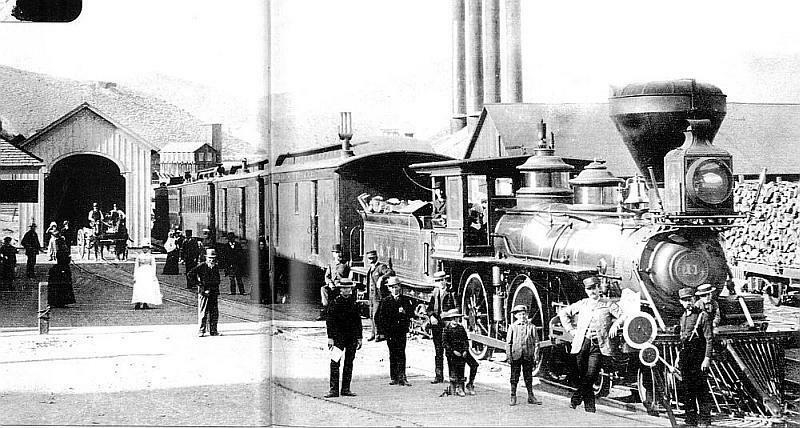 When Ulysses S. Grant visited Virginia City in 1879, and Theodore Roosevelt came to Carson City in 1903, both times the V&T sent out their prize engine, The Reno, to carry their presidential passengers. The Reno was sold off in the 1930s as the debts of the V&T kept rising, and it went to work for Hollywood, starring in such movies as Union Pacific, Annie Get Your Gun, The Man Who Shot Liberty Valance, and many other B Westerns in the 50s and 60s. In 1970 Old Tucson Studios bought it and used it in several productions filmed there, then they put it on display for tourists to see. But then in 1995, fire raged through Old Tucson. Many of the wooden film sets on the property were destroyed, and The Reno itself was reduced to a charred husk. Hollywood once again saved it, this time for the film Wild Wild West. 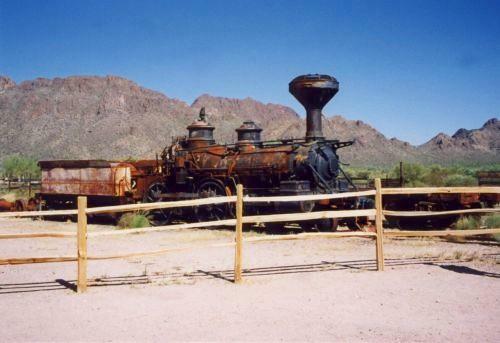 The Reno was given a new cab and a fresh coat of paint, then when they were done it went back on display at Old Tucson. But since then it’s been shoved out of the way, forgotten, neglected, and left to blister in the hot Arizona sun. Out of all the V&T engines, it’s probably the one in the worst shape and stored in the worst conditions. It’s the one that most needs to come back to Carson City, back home to where it belongs and where it actually means something to people.